How do I buy a Transworld Business Advisors Franchise? 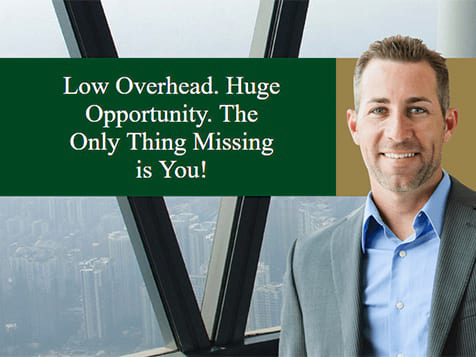 Meet a Growing Need as a Business Advisor. The need to buy, sell and franchise businesses is constant, and is currently even greater than before. With many professionals being laid off from jobs, a large number of entrepreneurs are looking to purchase businesses who have already shown the ability to generate revenue. 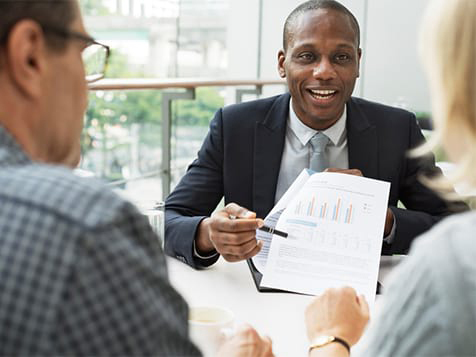 Since many baby boomers are retiring, a high number of business owners are also looking to sell their businesses, helping to meet the buyer demand and placing Transworld in a uniquely advantageous position. Explore your options about meeting these needs as a business broker, franchise consultant and franchise developer today. Open Transworld Business Advisors in any of these available states: AK, AL, AR, AZ, CA, CO, CT, DC, DE, FL, GA, IA, ID, IL, IN, KS, KY, LA, MA, MD, ME, MI, MN, MO, MS, MT, NC, ND, NE, NH, NJ, NM, NV, NY, OH, OK, OR, PA, RI, SC, SD, TN, TX, UT, VA, VT, WA, WI, WV, WY. Transworld Business Advisors has been in the business brokerage industry since 1979 and is backed by decades of franchisee experience. It is also part of the United Franchise Group family of brands, a global leader for entrepreneurs. At any given time, one in five businesses in the U.S. is for sale creating the tremendous need for buying and selling advisory services. Join Transworld Business Adviors and offer services from three industries including franchise brokerage, franchise consulting and franchise development. Business Brokerage: Work with owners and entrepreneurs and help make the perfect business match. Receive 10-12% commission per sale. Franchise consulting: Transworld represents more than 200 franchises from all investment ranges and industries. 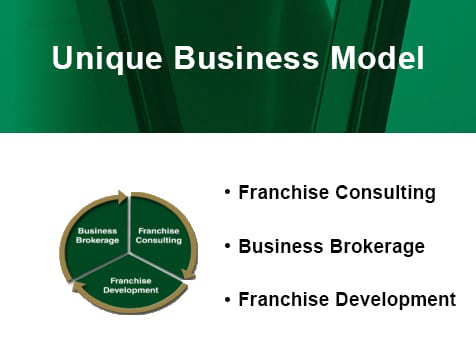 Franchise development services: Help owners expand into franchising. Transworld Business Advisors was ranked #185 on the Entrepreneur Franchise 500 List for 2016. 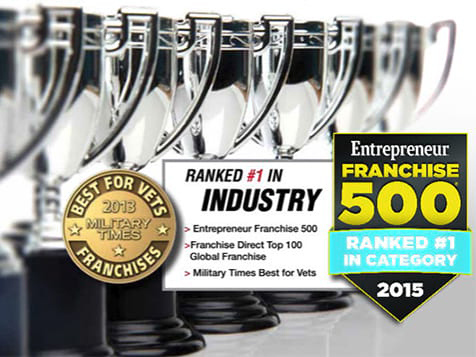 Transworld Business Advisors has also been recognized by Entrepreneur as one of the fastest growing franchises for multiple years and has been listed by Entrepreneur as a Top Home Based/Mobile franchise and as one of America’s Top Global franchises. Initial training: New Transworld Business Advisors franchisees train for one week at United Franchise Group’s headquarters in West Palm Beach, FL. During this week, franchisees learn about business brokerage, franchise consulting, and franchise development. Franchisees learn about which franchise concepts the company works with and how to match investors to a concept. Franchisees also learn about business brokerage and working with buyers and sellers to make sure that everyone involved gets the best deal. Franchisees learn the basics of the real estate transaction process and how to work with clients to make sure that all needs are met. Classroom instruction also touches on working with successful business owners that wish to begin franchising. Real Estate Licensing: Only a few states require business brokers to obtain a real estate license, which is a good practice even in states that don’t require it. To obtain a real estate license, franchisees must receive a certain number of hours of classroom instruction and pass a real estate examination. Since the process of buying and selling real estate can be complex and can vary from state to state, obtaining real estate instruction can assist franchisees in better understanding requirements and details of the industry. After Transworld Business Advisors franchisees receive initial training and meet the requirements for real estate licensing, a corporate representative is sent to the new franchise area for a few days. During this time, the representative works directly with the new franchisee to find sellers, work with buyers, and get listings. Having a mentor while learning the ropes helps franchisees to feel more comfortable and confident, while getting hands-on experience with processing transactions and working with clients. Commercial real estate is experiencing an explosion like never before as baby boomers begin to retire and the economy picks back up. For more information about franchising with Transworld Business Advisors, be sure to fill out the inquiry form and submit it today. Transworld Business Advisors is not currently active in our directory, but here are some other recommended selections for you to explore.